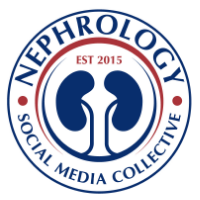 Nephron Power: JOURNAL CLUB: Is there anything we can do to prevent Contrast induced nephropathy? JOURNAL CLUB: Is there anything we can do to prevent Contrast induced nephropathy? Few weeks ago we discussed a new item on the many disappointing items that have been proposed to mitigate the risk for contrast nephropathy. the article in the Circulation 2009;120:1793-19-799, Iloprost-a prostacyclin analog- a vasodilator was noted in rat studies to attenuate the ischemic effects of contrast media. so a randomised, double blinded, placebo-controlled trial to see if Iloprost is up to the challenge. 208 patients, Cr 1.4 or more, cardiac angiograms were done +/- intervention. results: ? ?it may protect CIN. obviously this is a small study, their placebo CIN rate was much higher than usual(23% vs 5-15%) which may have helped improve the data for the study drug. other issues were the inappropriate use of eGFR in a dynamic situation, the significant hypotention in the Iloprost arm is a concern, the bleeding tendencies from the platelet-inhibition property of Iloprost. what do we know about CIN: 3-13% depending on definitions and patient populations, most significant risk factor is CKD, you can multiply Cr by ten and get an estimated risk score, it rarly leeds to dialysis, hyperosmolar contrast and >150cc increase the risk. other soft risk factors like low ef, anemia, diuretic use, chf, Htn, ?ace. best treatment is prevention; Normal saline vs 0.5%saline 12 hours prior. etilogies proposed: vasoconstriction, upregulation of the RAS system, dowenregulation of the vasodilators signaling, PH acidemic being worse.